This ain't your Grandmother's china! But I do love how the lace gives a nod to good ol' Granny, while still managing to make these plates feel fresh and modern. 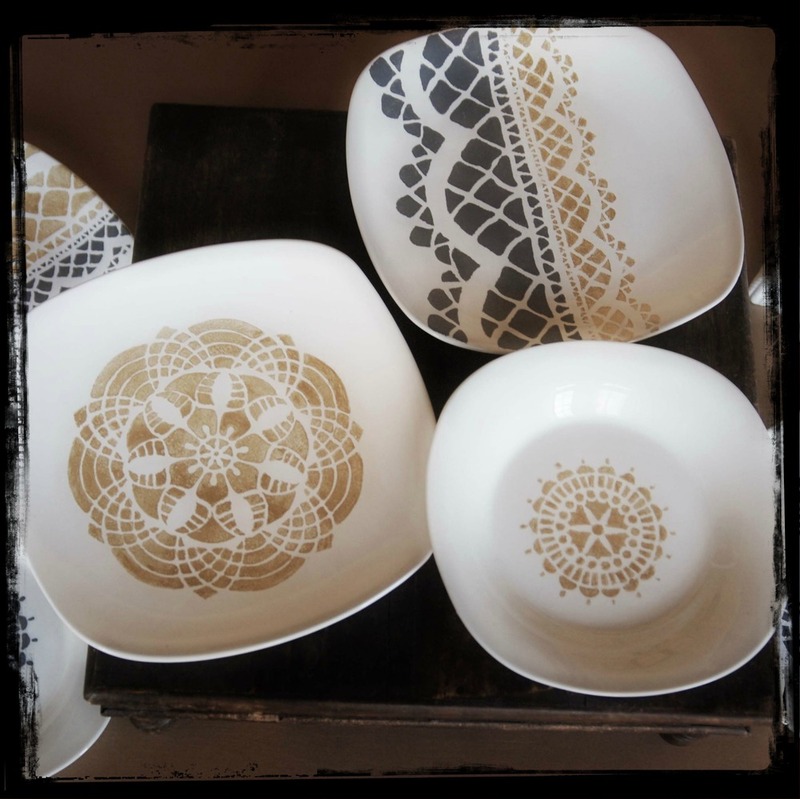 Choose from a variety of stencils and decide how you want your patterns to look. Use toothpicks and cotton swabs to clean any "oopsies"
*For curing directions click here. Since I am way too uber impatient to wait the 21 days for them to air cure, I opted for the bake method! ** FYI - The paint directions say they are top rack dishwasher safe and non-toxic, but thanks to some helpful info from a reader, the paint is not food safe. So please keep in mind these are best used for display only.